We are the first company in the UK to provide a complete range of products and services to support paint and coatings manufacturers and distributors. We offer a wide range of inter-related products and services that help to generate growth in sales and market share. Through the provision of a focused solution for your needs, we deliver greater efficiency and power to your business. Highly accurate and reliable machinery for colour mixing is a pre-cursor for paints and coatings manufacturers and distributors. 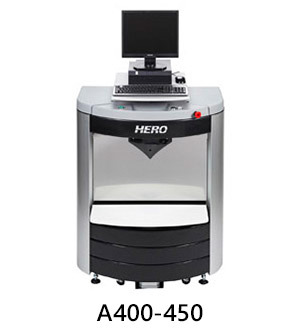 Our dedicated products and support services are at the leading edge of dispensing technology. 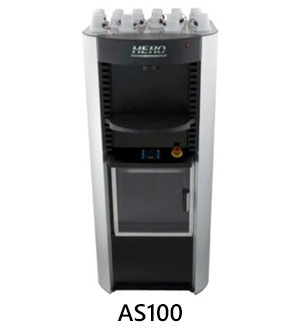 Colour Genie are the exclusive agents for Hero S.p.A in the UK and Ireland. 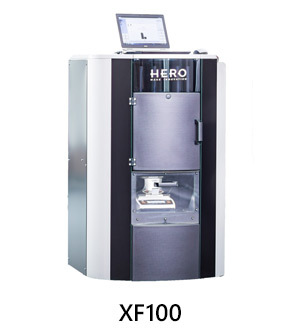 Hero are a global manufacturer of tinting and mixing equipment for the paint and coatings industry. The company is represented in most countries around the world, with manufacturing operations in Canada, Italy, India and China. 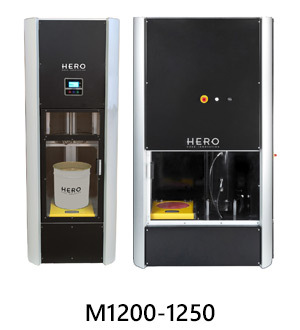 Hero manufacture automatic colourant dispensing and mixing equipment for point of sale, in-plant production and automotive refinishing. 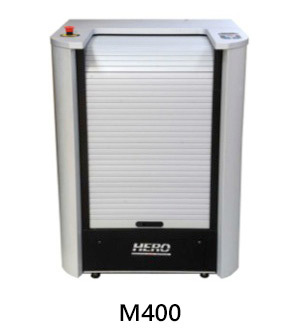 From entry-level manual machines, to in plant tinting systems, we offer the complete range of Hero tinting equipment. 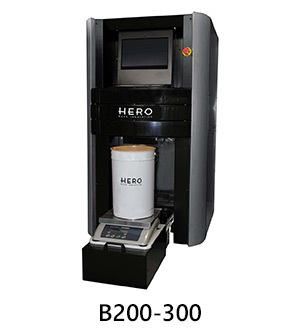 We supply Hero vibration and gyroscopic mixers suitable for all types of coatings, from printing inks to plaster. 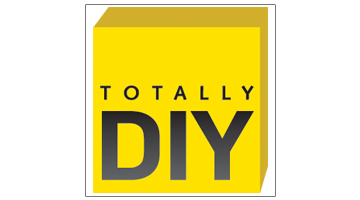 We offer a complete installation and system training service with UK based systems engineers. Post warranty periods we offer an optional parts and labour service and support contract to suit the needs of our customers. 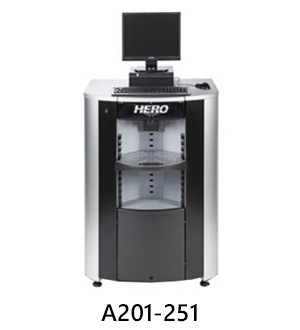 For further product, software and technical information on the Hero range please visit the Hero website. 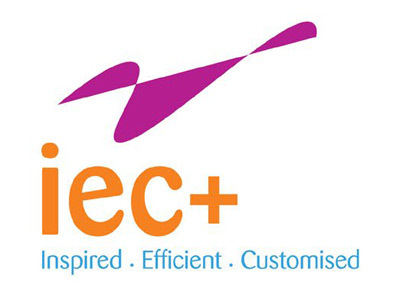 Colour Genie Group Limited are pleased to announce their latest collaboration with IEC+ of Italy. 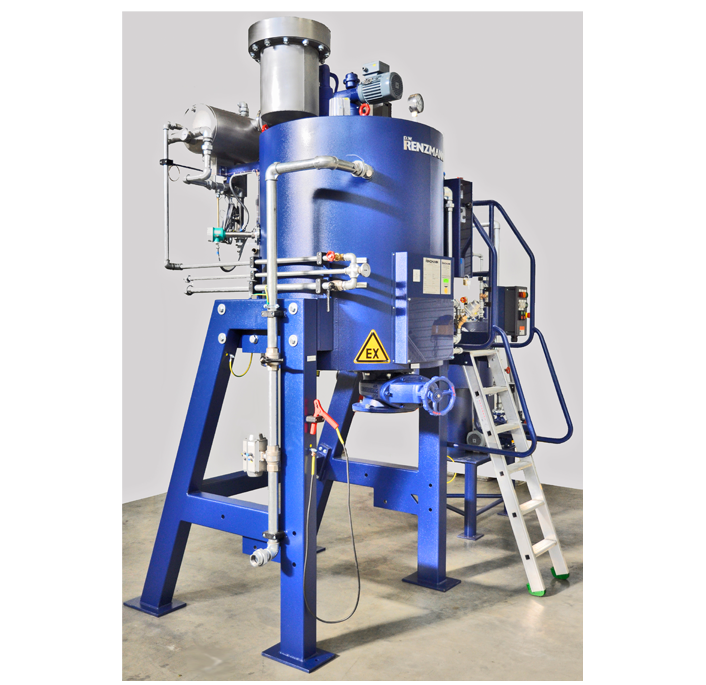 The mechanical engineering company specialise in the design and manufacture of Mixing, Grinding and Dispersing Equipment as well as complete Engineering Studies and Turnkey Solutions. IEC+ offers a complete product and support package to process manufacturing organisations. 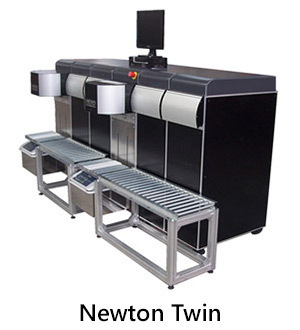 In conjunction with Colour Genie Group Limited, the business is rapidly gaining a strong reputation for reliable, quality equipment and service at a very competitive price. Please download the new 2017 edition PDF brochure and contact us with any questions, we’re here to assist. D.W.RENZMANN Apparatebau GmbH are a medium-sized company that develops, manufactures and sells cleaning and solvent recovery systems for the graphic arts industry and the paint producing industry. 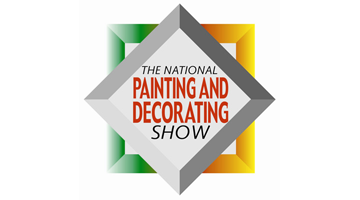 They are the market leader in the graphic arts industry and one of the world's leading suppliers to the paint industry. Renzmann equipment can be found on all continents of the world. High quality standards have earned Renzmann a good reputation around the globe. 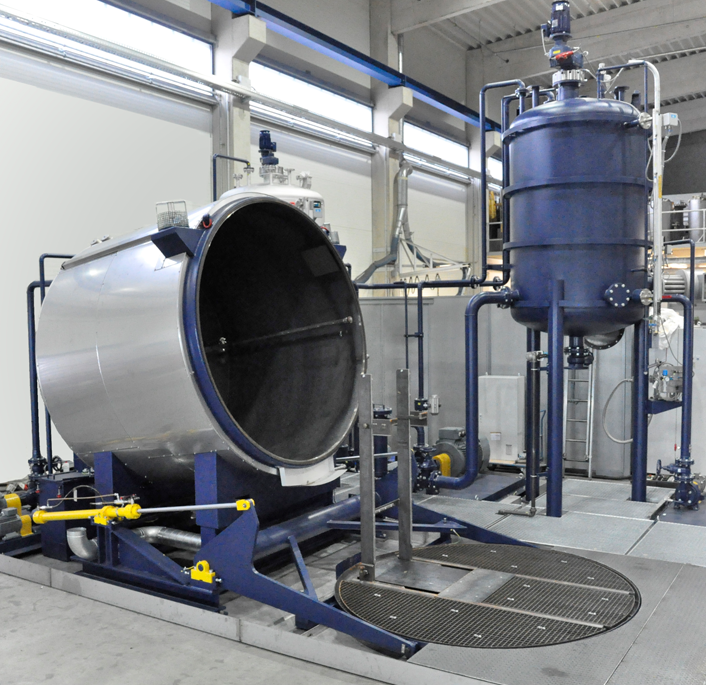 Following the merger with the Swiss company Riobeer AG Cleaning Solutions, D.W. Renzmann is now able to offer customers the widest range of washing machines and distillation units by one manufacturer. Thanks to their decades of experience in these special markets, Renzmann are able to offer customers all the support they need. Whether you need help applying for an operating license, planning your washing or distillation room, evaluating the economic efficiency of equipment or finding the best cleaners and cleaning methods, the qualified experts at D.W. Renzmann can provide advice in all areas. Renzmann machines and units conform to the relevant European regulations and offer maximum health and safety protection for the operator. Washing machines are used to clean cans, buckets, barrels, containers and shipping containers. Distillation units recover contaminated solvents and washing agents. The distillate is as effective as new solvent and can be reintroduced into the solvent circuit of the cleaning system. This contribution to a healthy environment also has significant economic benefits as most distillation units recoup their costs in a very short time. All distillation units can be combined with a washing machine and an appropriate washing agent supply system to form a closed circuit. Colour Genie are the exclusive agents for DW Renzmann GmbH in the UK and Ireland for the paint industry. For further product and technical information on the Renzmann range please visit the Renzmann website. 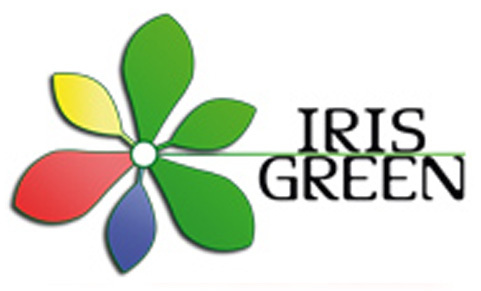 Iris Green is a leading provider of organic pigments, pigment preparations and dyes. Our water-based and universal colourants/dispersions, powder pigments and dyes are used in paints and coatings, printing inks, plastics, textiles and special applications. With over 20 years of experience and know-how our products have a reputation for technical performance and quality, an offer which is supported by our specialized technicians. Iris Green proactively ensures that products meet international standards for environmental, health and safety performance. IrisBlendW® is the new series of water-based pigment dispersions specifically created for POS Tinting Systems. 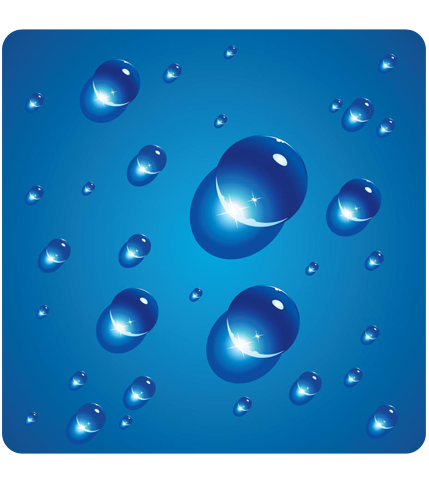 Excellent compatibility across a wide range of water-based coating systems. A choice of 25 pigment dispersions to build a PERSONALIZED system for indoor, outdoor and universal applications. Produced to rigid quality specifications that guarantee consistent colour strength, shade and rheology. 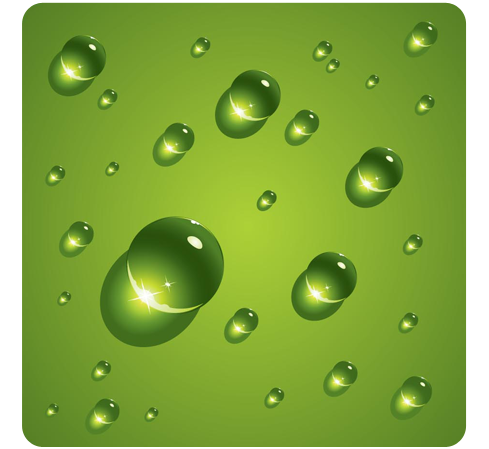 VOC and APE free and satisfy the latest environmental requirements. 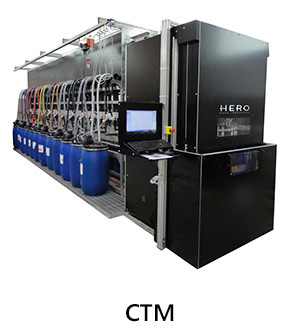 Compatible with most makes of tinting machines including Hero, Corob, Fast Fluid, Dromont and Santint. IrisBlendU® is the new series of universal pigment dispersions specifically created for POS Tinting Systems. Excellent compatibility across a wide range of solvent and water-based coating systems. Compatible with our Colour Management Software - IrisBlendSW. Organic and inorganic pigment dispersion concentrate pastes, free from binders, ground resins and solvents. Applicable to both water based and solvent based paints, varnishes and decorative coatings. A technological compromise which combines methods of dyeing for both solvent and water based products, thus reducing storage, logistics and stockholding costs. Organic and inorganic pigment dispersions that are water-based, VOC-free, APE-free and binder-free. Produced to rigid quality specifications that guarantee consistent colour strength, shade and rheology. Transparent iron oxide colorants, VOC-free and APE-free, suitable for wood coatings, both water-based and solvent-based. They are also compatible with IrisBlendW, IrisBlendU and IrisECO. 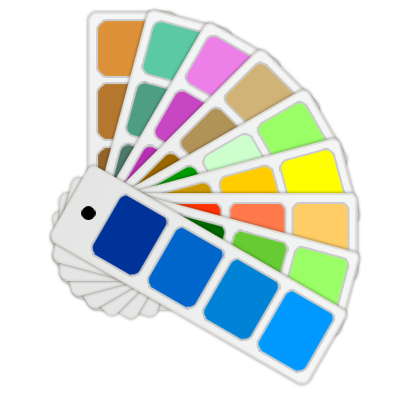 The user can select a colour from a colour chart stored in the database for a particular paint and respective quantity. 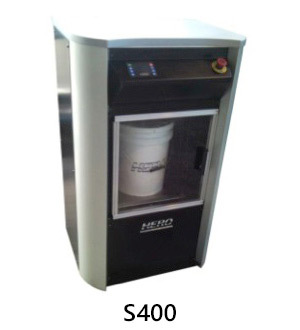 The recipe for internal and/or external use will be automatically sent to the POS tinting machine for dispensing. By integrating with a spectrophotometer, the user can manage archived colour charts and generate brand new colours in a real time and send the recipe to the dispenser. IrisBlendSW® shows in display the selected colour while listing the colourants required to complete the formula. The software can supply other information such as the cost, the customer, destination and additional customized notes. The software automatically creates in its own historical database of the formulas for future use. IrisBlendSW® easily integrates with spectrophotometers and tinting machines such as X-Rite, Datacolor, Corob, Hero and Fast Fluid. A simple interface and a graphic customization can personalize the software viewed on screen with your branding. SipFast® is our comprehensive range of powder pigments, both organic and inorganic. Download the pdf for details on compatibility for different applications including solvent and water-based inks, offset inks, plastics, solvent and water-based paints and coatings. The Plastic dyes are not compatible with polyolefin materials and materials containing plasticizers. You can obtain transparent tones and/or nuances in fluorescent materials such as PS and SAN or opaque pastel colours through the use in combination with titanium dioxide, nickel titanate, iron oxide, etc. Pearlescent pigments suitable for use with plastics, paints, paper, textiles, synthetic leather, decorative products and anywhere that requires a pearlescent or iridescent look to the manufactured article. 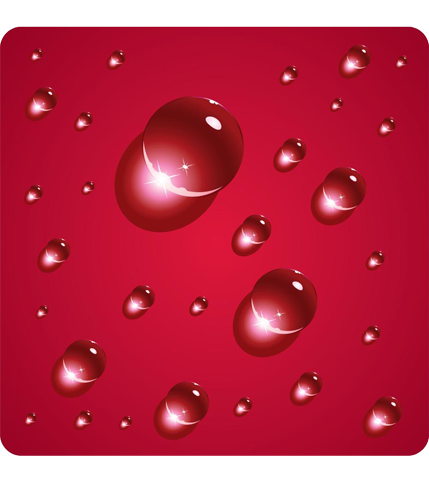 Glitter effect used for textile printing, paints, decorations and plastics. Available in a polyester resin. Available in 5 different particle sizes from 1/64” to 1/360”. Powder pigments used in the fields of textile printing, paints, decorations and plastics. These products can be provided, on request, even in dispersion. We have the latest modern technology and instruments necessary for controlling products as they enter and leave. Equipped to provide our clients with all the technical assistance they require. The experience gained by the laboratory over the years has allowed us to create products with an elevated standard of compatibility. Our formula methods are controlled by our laboratory and conform to specific technologies with precise indicators. 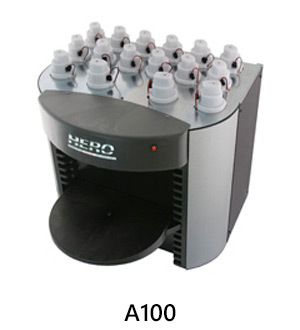 Measures such as colorimetric, colorimeter, viscosity, specific weight, pH and parameters which establish the stability of our products in particular conditions. Our laboratory is at your disposal to develop and discuss new solutions that respond to your demands and achieve high performance and reliability. Selecting colour with confidence and ease is a vital interface between manufacturer, distributor and end user. 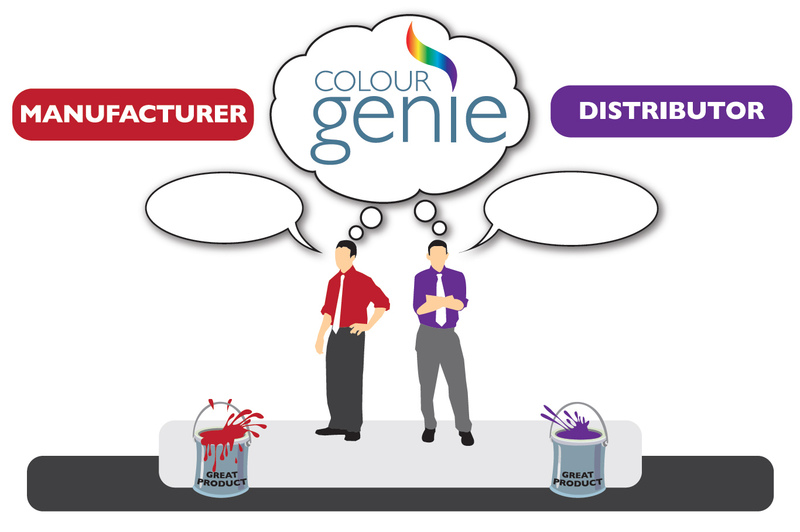 Colour Genie provides integrated solutions to help you communicate and differentiate your colour offer and engage with your customers. Colour Genie are the exclusive agents for Matherson S.p.A in the UK and Ireland. 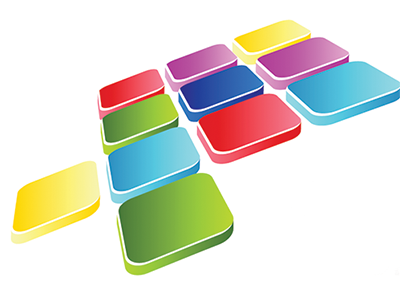 Matherson are a leading global manufacturer of colour merchandising materials. They produce colour sampling tools for the paints and coatings industry including decorative, woodcare, automotive and industrial. With a very flexible approach to cater for particular and exacting customer requirements, Matherson handle everything from small production runs to wide ranging colour solutions for multinational corporations. By combining product innovation with optimal marketing and over fifty years experience, Matherson are at the forefront of colour sampling. 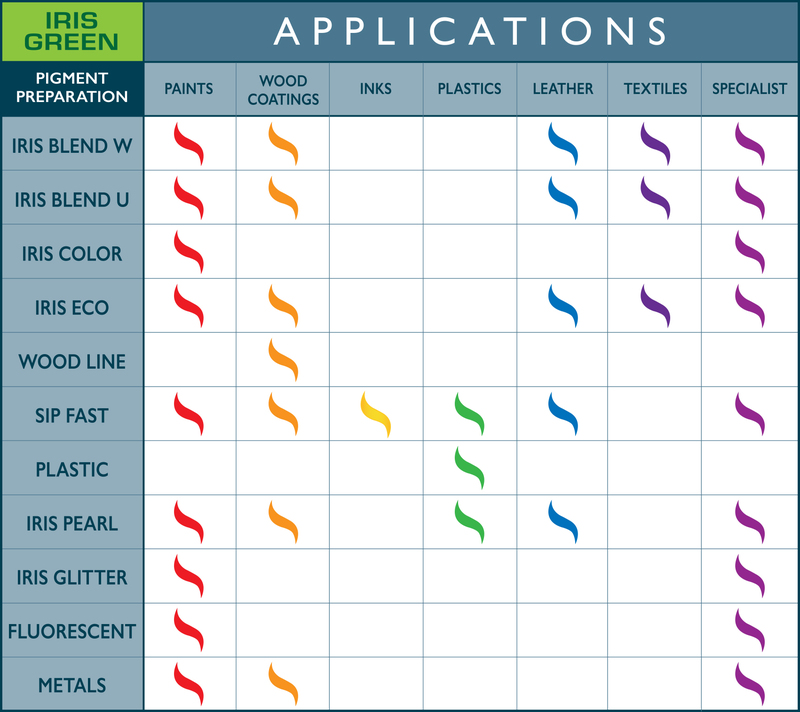 Please contact Colour Genie to discuss your colour sampling requirements. Colour Genie are working with Paradox Concepts. Paradox Concepts develop sophisticated digital colour selection tools for use in conjunction with smartphone and tablet applications, both for use in store and at home. For further details and to make a demonstration appointment, please contact Colour Genie. Established in 1989, Espancolor Test Panels are now available in the UK and Ireland through Colour Genie Group Limited. Based near Barcelona, Spain, for over 25 years the company has been manufacturing assured quality test panels. Available in a range of metal and non-metal substrates in various shapes, Espancolor has the right materials to suit the demands of customers across the coatings industry. All standard panels are rectangular with rounded corners for safer handling and a 6mm hole punch in the centre of the narrow edge. Smooth, flat and shiny surfaces. Available in three types of metal finish, Tin Plate, Carbon Steel and Aluminium. Metals are under the specifications ISO 1514. 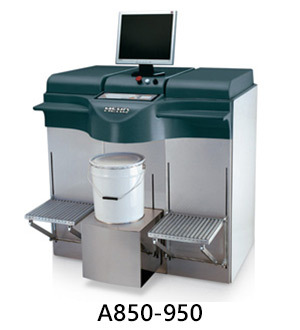 Panels are designed for general testing of Paints, Varnishes, Inks, Glues, Adhesives, Resins, etc. Hundreds of thousands of our panels are used every year for test purposes numerous in European laboratories. Standard panels are supplied in their original form and have not been subject to any degreasing process as many laboratories have their own specific requirements for degreasing and cleaning. We also offer a range of ready-to-use degreased panels to minimize cleaning time for laboratory staff. Panels are wrapped in rust inhibiting paper and packed in cardboard boxes. Supplied in three different alloys. Low weight and highly corrosion resistant. Manufactured from low carbon steel. TYPE D degreased panels are supplied fully protected against rust and in most cases can be used directly without cleaning. 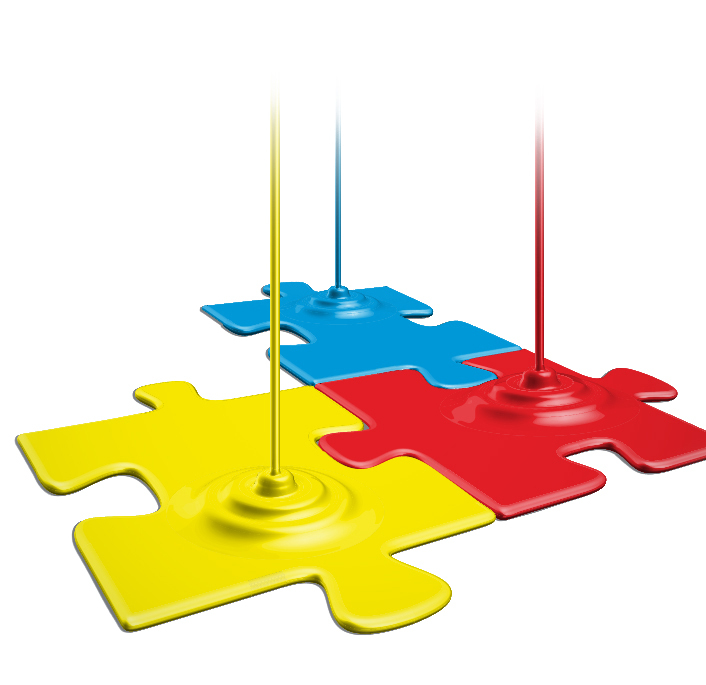 Effective marketing and communication is at the heart of what Colour Genie offers. Our products and services are tailored and combined to deliver the support you need to grow your business. Our industry specific experience with paint manufacturers and distributors provides us with a wealth of knowledge and experience to support our customers. Our objective is to respect and enhance brands. In our view, it's a matter of establishing and adhering to guidelines and maintaining consistency. 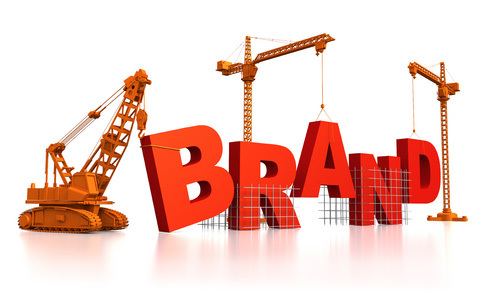 Whether helping to develop new or supporting established brands, we strive to grow and cultivate brand essence. We take time to understand a brand so we can tailor solutions that will work wherever it's communicated; from literature and packaging through to instore and advertising. Many of the smaller companies we support have grown organically and never previously considered a more strategic approach to marketing their business. We systematically approach each brief by applying best practice standards to every stage - from a projects conception through to measuring its success. The devil is in the detail, so we identify issues, analyse audiences, explore relevant trends, research competitors and use customer feedback to gain insight and plan far-reaching strategies. Our collective approach will then generate ideas that, depending on requirements, can be realised across any communication channels, from instore point of sale to online advertising. Markets become increasingly competitive but so does the scope for expansion. Manufacturers have the ability to produce new an innovative paints and coatings but sometimes lack the skills to expand into new markets, both in terms of product sector and geography, without having to commit to additional manpower. We can help to implement a new venture and provide ongoing support as required. Whether your market is business to business or business to consumer, distributors and retailers are often presented with challenges from their customers. This most commonly revolves around the need to provide a solution to a problem or take advantage of new opportunities. Our experience with a wide cross-section of manufacturers and distributors in the UK and overseas means we can facilitate business connections between both parties and effectively link supply with demand. We provide design for many formats of packaging and labelling, from can decoration to pallet wraps. We design and source bespoke fixture tailored to our clients requirements. 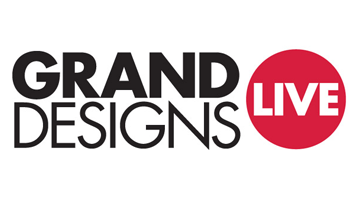 We've worked on everything from gondola dressings to illuminated interior and exterior signage. Many of our projects involve integrated solutions, combining packaging design with POS, signage and advertising campaigns. We bring concepts to life with professional print solutions to meet deadlines and budgets. Whether its press advertising, product brochures or multi-page catalogues your work will be constructed, proofed and produced to the highest standard. In addition to our network of preferred print suppliers with whom we can negotiate competitive prices, we have our own in-house print specialist. Highly skilled in pre-press procedures and colour matching, you can be sure that your job will go to print in the best shape possible. If you would like a copy of our creative portfolio please request by sending an email to info@colourgenie.co.uk. For some businesses, managing events and exhibitions can be a daunting task. If organised and managed efficiently it can reap rewards, especially in a digital age when meeting customers face-to-face is becoming less regular. Our negotiation skills with event organisers can optimise your position and get the most for your money. 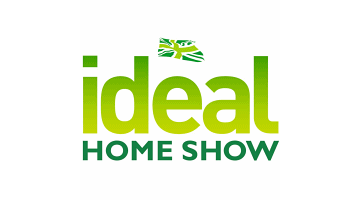 Our experience with co-ordinating stand layout and design maximises your impact. We can help with logistics, planning and event management, help reduce the stress and allow you to concentrate on your customers. We regularly assist clients with their website requirements, providing content and support. Because we understand the needs of the paint customer, commercial or domestic, we can help develop content for sites to generate the most appeal and traffic. We're experienced in developing content for e-commerce sites, targeting both trade and retail users. We manage and provide content for social media sites on behalf of our clients so a consistent message prevails. We design and activate email campaigns to further raise awareness of current activities, targeting our clients existing customers and also new ones.